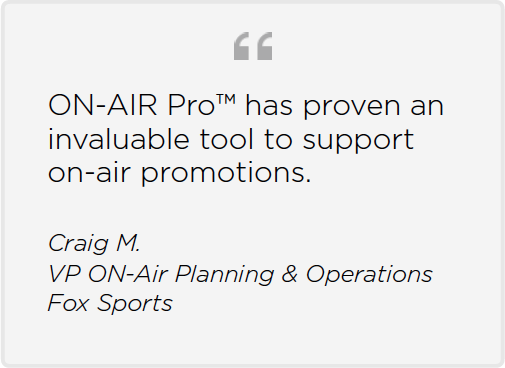 The NEW ON-Air Graphics™ plug-in for ON-AIR Pro™ enables easy creation of secondary event and promo projects such as Snipes and Menus utilizing Programming Grid data to dynamically generate secondary graphics for a period. 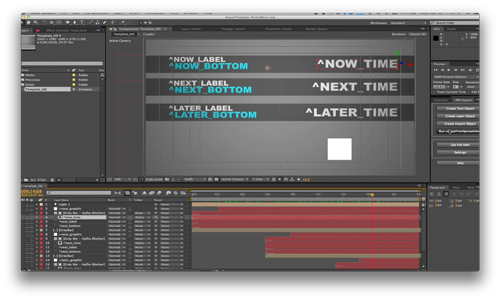 Through easy configuration of rules for a type of media, such as “Now, Next, Later,” and the real-time identification of previously created grid permutations, you will only create the necessary media elements and know which ones can be re-used. 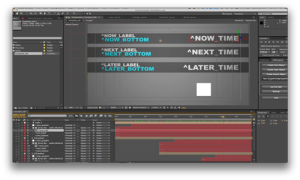 Ready made integration with real-time graphics rendering systems like Miranda Vertigo, or pre-rendering options such as Adobe AfterEffects, makes this a tremendous boon to your staff’s time and overall accuracy to air.